I had an interesting conversation with Bettina Tizzy the other day when we met in real life for the first time. Over dinner she relayed to me her concern that there are fewer and fewer patrons willing to give artists a place to do their work in Second Life®. Knowing that the New Media Consortium (NMC) has been arguably the largest patron of the arts to the general SL arts community over the years, sponsoring show after show on Ars Simulacra, as well as NMC Campus West, the home of the Aho Museum, she asked if I had any insights. I do, in fact. At one point the NMC dedicated 7 full sims and 9 voids regularly to art projects, generally passing full control to the artists. Over the last year, however, NMC has reduced its hosting of artists from dozens to a very small number — and none of those we currently host have control over a full sim. That is a big departure from past practice. The reasons are largely *not* economic. There is an odd dynamic in SL between artists and landowners. For the landowner, beyond perhaps some bragging rights of limited value, there is really almost no payoff for hosting artists. Most of them generally ignore you, and barely conceal the fact they'd be happiest if you just left them alone to do their thing. For artists, on the other hand, access to land and lots of it is a huge status indicator. The most successful artists — be they conceptual or "pure" artists, or designers who just love to build — are the ones who have regular access to new land that they can do art on. The need for new sources of land is important, for what drives the artist is the need to create. To continue to make new stuff, artists either need new land, or they have to pick up past creations, which means their work can't be seen. There is a large class of good artists who have not sorted out how to manage getting new land, and are stuck building in borrowed spaces or sandboxes, and look to galleries to show their stuff. Galleries, of course, are businesses, so the goals are not very well aligned between the average artist and the average gallery owner. It is hard for these artists to grow, and without sponsors willing to give prims and space, much good art will simply never have the resources to be realized or seen. Established artists are rare in Second Life, and to my knowledge less than a handful have sorted out how to regularly get free land for projects, which is the ultimate currency in SL for an artist. Few of the thousands of other artists have been able to find that level of support. Indeed, after listing 3 or maybe 4 well-known artists, all of whom have regular access to land for new ideas, the list seems to fade away. Among that group, challenges are getting more common. One of the most popular has lost many of his early and most significant builds. Another ground-breaking sculpture that once occupied the full volume of a sim lives on only in video and blog posts. A major sponsor of several highly regarded artists is increasingly demanding a revenue flow from the works hosted there, and content is folded up regularly to make room for new projects. That is a very different story than just a year ago when almost anyone with a concept could get land for projects. 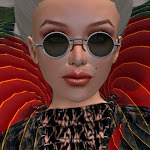 I agree with Bettina that big art in Second Life is in serious trouble, and the future looks less and less bright for artists who need to find that patron who will give them a place to work and create. I'd love to sit down for coffee with some of the other large landowners who support the arts in SL. I bet we'd all share similar experiences, primarily that historically there has been little benefit that accrues to a sponsor from hosting an artist. I'd bet $1000 that no one whose work is displayed in the Aho Museum, Ars Simulacra, or NMC Campus West really understands or appreciates what we do at the NMC, beyond hosting them, or for that matter, even cares. I'd venture to say even the artists we have given a home to for years would have a hard time explaining what it is we do at the NMC, or how our SL projects line up with our far more subtantial work in RL. The work we do to create a place to host the art is just not part of the story for them. I doubt that anyone who has been featured in our many full-sim exhibitions has had any sense of where they were, that they were taking part in a grand project with international reknown, or that many many other events happen there. They just know we host artists; the rest is a mystery of their own making. That is a not an issue unique to NMC. Generally artists in SL just don't pay attention to these things. Certainly there is no mention at all of the hosts on a typical artists' invitation to a show or a performance beyond a sim name. Indeed, I cannot name but one or two examples from all the artists I know that illustrate good practice in nurturing support for the arts. How many artists list their patrons work in their picks for example? That would be a very very simple thing to do. I did a quick check of the the top artists we support, and not one mentioned our project anywhere in their picks, yet we've put out tens of thousands of actual real dollars in support for the arts over the last three years. This does not mean artists have to shill. Indeed, no one would like that. But I do think artists need to acknowledge, especially in here, that their patrons are not stupid rich people with no talent of their own. 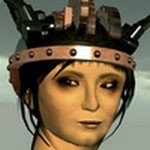 In fact, of the major patrons I know, all of them have a fantastic and massive vision for virtual worlds that is almost completely unacknowledged by the artists they support -- and all of them work their tails off to make it happen. Our own project, for example, is the largest educational effort in Second Life by any measure -- a vibrant community of more than 150 universities doing all sorts of cool stuff. The project has been completely self-supporting for 2 years, and was built with no seed money. It now supports dozens of artists, hundreds of faculty, and thousands of students, from more than 50 countries -- and makes tier on nearly 100 islands every month! The average visitor spends an astonishing 98 minutes per visit -- and there are about 15,000 unique visitors to the NMC Campus each month. It is such a substantial project that Linden Lab spent six months documenting it for a case study on their site. Yet not one artist we support, and there are a great many, would likely have any mention of NMC Campus in their picks. A few note the Aho Museum as a place to find their art, but none the larger project. Does that seem as out of balance to you as it does to me? Bettina is right. One day, we patrons are going to realize that the value equation here is way out of balance. Free land for artists is not an entitlement -- no matter how good they are, it should be a partnership, centered on the love of art, but grounded in mutual self-interests. At the end of the day, they need prims to create, and prims are not free. There is a huge need in SL for artists to acknowledge the symbiotic nature of their relationships with landowners, and they need to take the time to learn and appreciate the work patrons are doing. And they need to help those people succeed. I can't point to a single example in SL that meets that standard. It is more than showing up with art. If that is all it is, then this train is already grinding to a stop all across the grid. Large sponsorships are already down significantly, and I can see them drying up altogether. I think learning how to nurture support for the virtual arts is a self-education project that SL artists need to undertake for their own good. In doing so, they need to acknowledge the role of entrepreneurs in making their art possible, and they need to see the artistry in their patrons' work as clearly as patrons see it in the artists. It is an investment in the sustainability of virtual art. I'd hate to see patronship erode further. Bettina thinks it is in crisis. As one who has worked for years to support virtual art and artists and musicians of all genres, I have to agree. To my way of thinking, it is just devastating to see patrons disappearing across the grid as fast as they are, even as Second Life land ownership sets new records monthly. My hope is that artists in Second Life will work together to make clear what the value in supporting virtual arts is for patrons, and help each other learn how to nurture and sustain support for the arts in Second Life, just as artists do in the real world. Virtual art is fragile enough as it is. The time to do something is now. I think you've made a great point here, Larry -- it IS easy for us artists to get caught up in our work and to kind of forget, or take for granted, the benefactors who donate their money and space to host us. I really, really try to NOT take it for granted, although I am not perfect. Whenever I am given land space, I always put the location in my Picks, plus I send out notices to my various groups, and I blog about it, etc. I absolutely welcome the chance to learn about, and give props to, organizations that are willing to give me the space to build or host my art. In some cases, it's not that artists don't CARE, it's just that we don't KNOW what's going on with the organization. I've often had to join an organization's group to be able to build at their location, but it's relatively rare for that organization to provide a lot of information -- communication through notices, and a blog or website as a hub, would do a LOT to spread the word about the patron's company, or whatever. I don't think artists always ignore the patrons who sponsor them, though. Those of us who frequent Brooklyn Is Watching are all pretty enthusiastic about the project. I speak of it regularly, I blog about it, I point new artists in SL in their direction (since it's a great place for someone to get started). There are often great conversations going on in the comment threads to the blog entries there, etc. I think you'll find that a lot of the artists out there WOULD welcome the chance to show their gratitude, or to at least learn more about the sponsors who pay the bills; I think that the artists simply need to be steered in the direction of what the organization is all about, welcomed into it, and given a chance to become part of that organization, in a community sense. For example, maybe when an artist is given the land space -- there could be some kind of introductory package given as well. Like a notecard giving a general welcome and simple info about the place, plus links to a website, plus an invitation to a Subscribe-O-Matic group (one that sends notices only, and won't take up one of the 25 possible groups). Something like that. It's not that we artists don't WANT to help promote our patrons as a way of saying "thanks"... just, help us to learn about you, and encourage us to do so! Okay, I think I've rambled enough! Thanks for the post, Larry -- it's an important topic of conversation, for sure. I think you are quite right, Nebi. I think many WOULD like to know how --especially the up and comers that we need in the pipeline. That is what I hope we can spark here -- a conversation that helps people have an idea of how they can help sustain support for the arts. This is an important topic but I feel there are some key definitions that need to be corrected so as to focus on the real issues at hand. I think part of this is the fact the due to RL abuse the terms Patron and Sponsor appear to mean the same thing. "One day, we patrons are going to realize that the value equation here is way out of balance." In that case, I would say that you are not a Patron at all. To my mind a true "Patron of the Arts" is someone who altruistically supports the arts financially or otherwise with little expectation of return other than a "Thank You for your Generous Support". They do it for Love, helping an Artist achieve their goals. There are not a lot of this type, but they do exist, I assure you. If an Artist cannot express some form of private or public gratitude to a patron of this level they are lower than a wall street banker. "Free land for artists is not an entitlement -- no matter how good they are, it should be a partnership, centered on the love of art, but grounded in mutual self-interests. At the end of the day, they need prims to create, and prims are not free." I would say to this that you are not an altruistic Patron of the Arts (yes, they do exist) but you are a Sponsor with an Agenda, having higher expectations of both tangible ($, traffic metrics, press coverage, etc) and intangible (reputation, status, image, etc) Return On Investment - or as Mr Pixel says fulfillment of mutual self interest. There is nothing wrong with this, it's usually called doing business, but dressing it up in warm fuzzy concepts like "Patron of the Arts" does not help clear the air and resolve the issues at hand. Why is it important to accurately define the nature of the artist/sponsor working relationship by the proper tag - Sponsor, with ROI expectation or Patron with no/low ROI. As a working musician/artist (among other professional skills hats) I can tell you it is incredibly difficult to manage expectations on a project without being able to assess and tag people to help manage the relationship on both a personal and a professional level. Without some form of clear boundaries you can agree on at the outset how is anyone supposed to arrive at a successful project conclusion? Not very successfully, it appears. Expectation management is not a trite phrase - it makes or breaks projects all the time, and lack of it seems to be the root of the issue Mr Pixel lays out. So are you a Patron of the Arts? Decide which and communicate your expectations to the artists at the project outset, along with appropriate media to aid the process of expectation fulfillment. I work with both types regularly and from my perspective it certainly helps to know which group I can assign people. It's not a static thing either, situations change, relationships/expectations need to be adjusted as things move along. As an aside I am also a Patron, but of Benefits. Don't laugh. Musicians get asked all the time to support worthy causes in SL, called upon to raise the dollars to support many charitable efforts. The last one I did raised ~us$540 in a little over an hour in SL, not bad for a solo effort and a generous crowd of fans who got on board to make it happen. But...and here's my empathy with Mr Pixel's ROI lament - albeit on a small scale, sometimes you end up feeling like a cow being trotted out on stage to be milked, patted on the bum with a "job well done" and then forgot about till the next time they need you. It's partly why I am now a very select Patron of the Benefits in SL. Larry,your point is made well, but it also highlights some of the differences between RL and SL, and maybe points to the way of the future. I agree private sponsorship of the arts in SL should be acknowledged and there should be some sort of 'payback. In RL many artists look to public arts funding to provide the means to do ground breaking work - because it will rarely be commercially viable. While private sponsorship is great, it rarely comes without strings that might inhibit creativity, and even more so as the recession hits and the purse strings are pulled tighter. 'Public' funding of arts in SL has been the missing element. Except for the grants available to Australian artists via their national arts funding body I don't know of any public funding available in SL for the arts, unless you count some of the money LL has made available for projects (is that 'public'funding?). I think the way of the future is a blurring of the lines between the virtual and the real art worlds. This opens up all the avenues of funding from rl to artists working in SL. Many artists, including me, are already doing this, applying for rl funding for SL projects, or using SL for their rl doctrate or masters studies in the arts. The wonderful work of organisations like NMC in fostering the arts in SL cannot and should not be discounted, but as sponsorship within SL dries up artists will need to integrate SL into their rl arts practice and pursue funding outside the virtual world. I think this is the way of the future. SL can no longer be an isolated arts community. It has to take its place in the wider arts community.In doing so it also has to be prepared to be exposed to the rigorous competition and critical review that artists live with in the real world, and to take some responsibility for educating the wider arts community about arts in virtual worlds. Well, I guess I am just the gumpy gargoyle on this (as much as I was when the music venues startet to lament their position). It's a very simple thing: if you have expectations, make them work. Don't blame others for their failure. You want artists to participate in your larger project, point it out and integrate it, maybe even make their arts resonate with it? Put down contracts before handing over the sim keys to the artist. Plain and simple as that. In the RL, sponsors do have expectations of artists, too - that's why artists get contracts with "you have to attend events a, b and c and you have to be available for interviews on projects 1 2 3" written in. It's nothing horrific to expect an artist to sign (or at least verbally accept) a contract when what you actually do is pay the rent for his/her studio for a month or two (or even longer). And I am quite sure most artists worth their name will understand that. To my experience artists _are_ caught up with their art. And guess what? It's the way it should be. They are artists, dammit, not marketing people! If you want to have some publicity for your sponsoring, do something for it. Actively. (and do something else than whine). Big sponsorships going away in SL is just a sign that most big sponsors just plain don't get it. They still sit there and expect things happening automatically "oh, we got an artist, now we get publicity". Silly. Oh, and please don't call yourself a patron if you are a sponsor. A patron nurtures and supports single artists they like a lot and want to succeed - they support them without expecting immediate return - sure, they might from time to time stand up as "I'm so-and-so's patron" - but usually they just enjoy the art created. Sponsorship is business. Business needs business plans and business contracts. Not whinery. Larry's post and the comments so far bring up significant issues, and NPIRL is the right venue for this. SL is Real Life. Even not-for-profit organizational sponsors want recognition. There are few patrons who have no expectations of ROI (financial or otherwise). Most artists would be glad to do something if they were told up front what it would be that was expected of them. More outside funding is needed. There is more outside funding happening, from both governmental and NGO sources. Some artists ghettoize themselves in SL. Others promote their SL work in the real world. It is important for all artists, in and out of SL, that the outside world becomes aware that SL is a new art medium and should be recognized as such and subjected to real world art criticism. Many outside SL think the virtual world is a just a social networking place like a 3D Facebook, and that artists use it exclusively for promoting their RL work. Educating the outside world about SL art is one of the keys to bringing in more funding sources, whether it be governmental, foundation, corporate or individual sponsorship or patronage. CM Pauluh aka Nebulosus Severine makes some good and practical suggestions. It's hard to know who's responsible for what, and how big the big picture is when things seem to happen as if by magic. Imagine inviting Leonardo, notoriously bad at business-planning, into a seemingly unlimited virtual world and showing him exciting tools to create in spaces that don't exist unless someone pays and sees to it that they're set up properly and run on a business schedule. The logistics would be invisible and outside his comprehension until/unless he learns them. He wouldn't know them automatically. He couldn't. Communication is needed, and the simpler the better. If a host offering artspace needs a certain degree of recognition, appreciation, return on investment, or other value, that should be made clear at the beginning of the relationship with the artist in unmistakeable terms with nothing depending on things that are implied or happen by chance. It seems the NMC's support of virtual art is responsible for much that is important about the directions that Second Life® art has taken. I had no idea of the extent until I read this informative blog post. Thank you Larry, and thank you Bettina. Update: While I was writing this comment ArtWorld Market also weighed in. Promoting virtual world art as RL art is key, because it is real. It is art-as-process both now and as incubator for the future. Thanks for this post, Larry and Bettina. And for all the thoughtful comments from those who have expressed themselves. I would second Barney's point. Patrons/Sponsors - don't be shy about your expectations. The "prims aren't free" in RL either. The costs of raw materials, production, studio space and exhibit space are a fact of life for every artist. The same holds true in SL and artists are well aware of that fact. I doubt any artist worth their salt would balk at being informed of the bigger enterprise a Patron/Sponsor is involved in and how the Patron/Sponsor sees the artist's role in that enterprise. As Nebulosus says, help the artists to help you, most of them will undertand and welcome the opportunity. My profile usually contains at least two Picks where I don't even have shows at present -- they are galleries which show artists for free. It also contains a Pick for an SL creative-skills school and guarded sandbox project which is supported by an individual at the cost of over 6000 dollars a year. It's not just that artists are lousy at promoting their supporters. Many are lousy at promoting even themselves. :) I notice that many, probably most artists, don't even promote the galleries where they currently show, and some then even complain that they don't sell anything at the location. The blank ungraciousness of this astounded me, until I simply IMed a dozen artists in a gallery where I was showing and suggested that we all put our show location in Picks. They all did, every single one of them. "Gosh, good idea, I hadn't thought of that, hah ha." Let's start spreading the idea that supporting our supporters is a norm and even an ethic. Even if someone doesn't feel they owe it to the landowner, it is clearly something that we owe to one another as artists. Many artists don't like saying things in words, or have trouble doing it. They are understandably less likely to go to the effort if they don't even *know* the mission and needs of the supporting organization. I agree vigorously with Neb -- Organizations can help by giving us notecards to hand out or to cut and paste into our profile picks, artist's statements, show announcements, blogs, etcetera. But that shouldn't be compulsory either. Advertisement can wreck the aesthetic or experimental spirit of things, and artists should have the power to determine how they are going to promote their supporters. Major art groups can help spread an ethic of acknowledgment by having it in their group charter and mentioning it in the occasional Notice. Experienced artists can help by promoting the idea to new artists. We *can* create a new norm of appreciation for everyone that makes art happen and gets art seen. We have a very small world here. Each of us is powerful. Thank you for this clearly stated, eye-opener of a post Larry! Professional, full time artists, at least for a sizable part, are employed in academia. That is where they make the money which keeps body and soul together. And academia operates under the principle of "publish or perish": If you do not deliver the goods in terms of peer reviewed" publications you are more than likely to be out on your ear in no time... Publishing by this standard means getting your work into juried/curated shows and biennials and your texts into "peer reviewed" conference proceedings and journals. And how hard is that? Trust me I know. It is very very very hard! I am in the thick of it, given that in my country there is no tenure system which would stop my lazy old hiny from getting kicked out on the street despite my being a full professor who has been at the same institution for 8 years now. I am expected to "publish" until I drop dead basically... So? Of the 5 juried/curated shows that I applied to this past year I was accepted into 3, and rejected from 2. Of the 10 or so conference papers I submitted for review during the same period my fall out rate has been 30%: 7 in, 3 out. And, believe it or not, I am actually doing rather well over here! Again, Larry can probably validate my success rate much better than I can. (continued from above)And then, of course, the RL gallery scene: Well yes, there are hole-in-the wall, mom-and-pop type galleries in abundance. But, if you want to get into a good one, be in the stable of an acclaimed gallery? You would probably need to prove your mettle by going through all of the routes above - or you would need to have some kind of an "in", which, more likely than not, would mean good connections, money of your own, coming from a background which would be of use to the dealer? Whatever it takes really... It is, after all, the one golden apple which will keep the wolf from the door in old age... One thing is for sure: You will not be able to walk into an "acclaimed" gallery, anywhere on the globe, and just be able to display your work. But, please please please, whatever you do, do not think that I am implying that this system ensures quality or any such non-sense: Unlike scientific output, which does get judged on very solid criteria, such as it's contribution to new knowledge, good referencing, good empirical data studies and so forth when it comes to art work (or art papers) the selection process is arbitrary to say the least: Much work of extraordinary merit gets rejected out of hand simply because it may not suit the agenda of the curator/reviewer, may not be in tune with the "zeitgeist", may not be politically correct, may not fit in with a "theme". While a lot of deplorable output does get an airing simply because it fulfills one or all of these criteria. So? Why should the SL cultural disseminative system operate under different tenets? We are all from RL, living under it's millenia old socio-cultural structure? Why on earth should it be different in a virtual world? Oh and, sorry, before I forget: Design output. There, it would seem to me that we have the gears of economy (or in our case metanomy) at work. Supply and demand? And oooops - maybe we have that for all of it? Now - there's a thought. The golden yard measure of true and ultimate success for an artist is that he can live off of his output alone. So, why, again, should that be different in SL? • SL is a new phenomenon, and it does not have an established set of patronage and sponsorship structures that are analogous to the RL art worlds' (plural). Public funding (or the equivalent) would help support big, full sim works, but even in the RL public funding is enmeshed in networks of private sponsorship and patronage, real estate deals (i.e. % for art projects at the civic and county levels), and more. You see private patrons with collections who support public projects through advocacy, committee work and board service, and often direct gifts of money. Likewise, RL dealers frequently pitch in and support public commissions and museum projects. Government funding exists on various levels, there are art fairs with public components, foundation grants, and so on. Lots of sources. • Right now, I suspect that RL art folks generally don't care about virtual art because they just don't live there, and when they visit, they may not respond to what they see. Let's face it, the screen is small compared to the real world, the resolution is better than it was but still only so-so, and then there is lag. To feel a genuine sense of thrill when encountering a virtually "huge" installation requires a degree of psychic participation and a suspension of corporeal disbelief that can only happen if you have a quasi-visceral identification with your avatar as you stare into your computer screen window. Guess what, this is not going to be everyone's cup of tea. Don't get me wrong, I find SL fascinating, but if you are in a museum or RL gallery and then you come across a computer screen with an SL piece on it, it feels small and "game-ish" in comparison to everything you have just seen. • What is to be done? In the RL art world, things get interesting when artists themselves take the initiative and generate their own patronage structures, find collectors, sponsors, spur the founding of museums, open galleries, and somehow conjure into being what they need to create the work in their heads. Their enthusiasm and work infects collectors and patrons and dealers and museum folks, who all have access to resources that can transform that enthusiasm into opportunities for more and bigger work. SL is young, virtual worlds are young. It will take time for something to develop. • What I like about NPIRL is that its premise is based on the idea that if virtual worlds are going to produce real art, it is likely to be real art that can't exist in the real world. Artists have to solve the chicken-and-egg question of getting access to land/funding so that they can build something that is so good that other people can't bear to let it go away. They have to make sure that patrons/sponsors want to stay involved, and frankly, in my experience the patron/sponsor difference is less significant than this string suggests, but whatever, there is a difference. All funders require care and feeding. • I suspect that a virtual art world will also conjure into being a virtual audience that may be rather distinct from the RL art world audience, despite some degree of overlap. I'm not sure about this, but it seems likely. There are many art worlds now, and many of them don't talk much to each other. They like different kinds of art and their paths seldom cross. They have distinct support structures and pecking orders, financial and social. It would surprise me if virtual art did not develop along those lines, accumulating its own organizations, patrons and sponsors, fostering its own art personages, curators, critics, and collectors. • To reiterate: it all starts with the artists, doing whatever it takes to make art that is irresistible. The rest follows, but it takes time, patience, and effort. It seems the problem of artist non-appreciation of their sponsors can be easily remedied by communication of what attribution is expected of the artist by the sponsor plus a notecard explanation of the overall mission of the sponsor given to the artist in order for her to understand the 'big picture'. Artists are not mind readers and need to be told this stuff. A downside for artists (and it is a HUGE downside) for professional artists showing in some benefactor sims is that they can't sell their works there. This is no small problem. It is my personal opinion that serious professional artists doing work in virtual worlds should do what it takes to get their own land in order to establish themselves (in addition to showing in as many venues as they can elsewhere). Just one example of the economics of that: 5 artists can group share a Mainland sim at 39 dollars US per month. With an initial investment of about 210 dollars for the land each. If one can't come up with that amount, I must say that one isn't a serious professional artist and is not committed to it. Harsh but true. When I was a Noob, Filthy Fluno gave me some great advice: "You must look at an art career in Second Life in the long term, and make your decisions along the way with that in mind". Great advice I think for any VR artist. In these (still early) days of VR art the economics aren't going to be that great, but down the line (maybe several years or more), there is a great possible upside in my opinion. Great topic. LOve to hear other opinions on this. This is a really great 'blog entry, which has obviously opened up a lot of discussion. The issue of where the money comes from for a lot of the big art in SL has always been a bit of a headscratcher for me. I was never quite sure what the NMC was, either. Just something in SL? Supported by university? What? No idea. I'm glad to be more informed about it by this post. In terms of patronage, I think the fault here is not so much that artists need to step up, as the 'blog entry implies. I think the problem is that the relationship is not clear at the outset, and the two parties (artist and patron) each approach the situation with different assumptions. This is easily remedied through communication. I remember talking to a friend who had a space on an island sim, given to them by the owner to use as they pleased. I ran down what a sim like that costs to keep, and we figured out what it cost per month per square meter and per prim. My friend had no idea it cost that much, just to have a house and a place to build. I suggest that artists learn the value of land on SL, in order to really understand the very real basis of their art. It might even provide a new subtext for many works which would illuminate the mediated condition. Larry noted, "NMC has reduced its hosting of artists from dozens to a very small number.... That is a big departure from past practice." He goes on to state "The reasons are largely *not* economic," but are rather the result of the disparate interests between land owners and artists. Land owners are largely interested in making money in order to pay for their land. Land is required for the prims of which all SL art is made. (Imagine a time when only land owners could provide a painter with canvas.) Artists are also interested in making money, but without prims, nobody’s going to make anything. The prim-based economy is brutal and may be among the greatest motivators to escape the confines of SL and have a true open sim world. Larry goes on to say, "I'd love to sit down for coffee with some of the other large landowners who support the arts in SL. I bet we'd all share similar experiences; primarily that historically there has been little benefit that accrues to a sponsor from hosting an artist." I’m not a large land owner. I am an artist, a sim owner, and a gallery owner. Under the astute direction of retiring curator RobertSteven Smythe, the Galerie de la Vie has presented a wonderful series of shows over the last year highlighting the biggest names in SL art. But since our gallery is not dependent on traffic or sales, we are able to take more risks. As we have now established a reputation for quality, my hope for the next curator of the Galerie is to present shows by lesser known artists who can more benefit from an important show. The concept of Artemesia, and especially the Galerie de la Vie, is about living with art. It's a fundamentally different business model than I have seen elsewhere and I think developments across the SL art world have vindicated it. The idea is simple. The residents of Artemisia support the space with their rent as a part of having an interesting place to live and work. The curator gets to work with creative people and to present wonderful art. The artists get a beautiful venue to show their work. Everyone wins. No money changes hands. We ask no commissions and our exhibitors are welcome to sell their work. We have a collaborative relationship among our residents, curator, and exhibitors, all aimed at making something wonderful. The costs are not an issue as long as we can maintain a small community of happy residents who understand what a special place it is. In short, we DO get involved with our exhibiting artists and I am certain that most are very aware of the value of having a place to present their work. All of our artists have been most appreciative of the opportunity. They DO mention the hosts of their exhibitions because we engage them to understand that their presence is made possible by our residents. If Larry and NMC think their exhibitors are unappreciative, perhaps that they have not sufficiently educated the artists about their mission. "There is a huge need in SL for artists to acknowledge the symbiotic nature of their relationships with landowners .... I can't point to a single example in SL that meets that standard." Point to Artemisia and the Galerie de la Vie. "I think learning how to nurture support for the virtual arts is a self-education project that SL artists need to undertake for their own good." I agree. What are you doing to help them? Do you actively engage your artists? Give them a tour of NMC? Take time to explain what you’re about? Do you ask them to put the place in their picks? Have you engaged the artists in your community, or just handed them the keys to the sim? Are you coordinating class tours with some of those universities? I hear a lot of whining and finger pointing in this article. SL is about possibilities. It only happens if you make it happen. I would also like to point out to Larry that it has cost me thousands of hours and dollars to get to be where I am today... and will cosy thousands more before I see any financial benefits from it. The artist invests more than just money. Also, and excuse me for saying so... NMC is a crap name by any marketing standards.... sounds like an engineering firm. Larry is inviting the community to grow up a bit... not just artists but patrons/sponsors, too. While we both recognize and deeply love virtual arts, we can also see the writing on the wall. Steps need to be taken immediately to ensure their continuity and growth. Larry is inviting the community to brainstorm ways to accomplish this. I want to be a part of this dialogue, mostly because I have a lot to learn from it. I agree that frequent sponsors/patrons can make the process easier by creating an introductory package with information about their organization. For example: Mission statement, general overview, board of directors, boiler plate, logo, key landmarks. - Spend a little time becoming better acquainted with what their sponsor does. - Suggest that all photographs taken of their art/installation be posted in appropriate Flickr/Koinup/YouTube (et al) groups, and tagged as well. - Create a miniature piece reminiscent of the installation and give it to their sponsor(s) as a thank you. Perhaps rez that piece at the entrance of the installation. - When staging a performance or just prior to a public opening/preview, be sure to thank their sponsors publically. Add a sentence or two about their sponsor's activities, where appropriate. - Interview their sponsor (one or two questions even!) and include their thoughts in a blogpost or press release. Quote them. - Always include their sponsors in blogposts about their exhibitions. Encourage others to do the same. This is as simple as adding a sentence about the sponsorship, linking back to that organization's website, and tagging the blogpost. Is it your friend's art that you are blogging about? Help them to get sponsored again by including the sponsor's info. - In their in-world invitation, include a landmark or two to their sponsor's key venues in SL. Explain what they do via their boilerplate or in their own words. - Is someone cool attending an event around your artwork? Invite your sponsor to attend! Let them take part in what's cool about your world. - Mention their sponsors in their Twittering and Facebook posts regarding the art/installation. Create a hashtag and encourage others to use it. - When interviewed about their art/installation, ask specifically that their sponsor be mentioned. You can't guarantee that this happen, but it helps to ask. I have a portion of an island that has 996 prims available. I would be willing to provide a space for one artist to display their work for one month. Please email me a PDF with your two page concept paper, one page timeline with a start date of June 8th, and optional one page image supplement. Proposals will be accepted until Friday, June 5th at 11:59pm. I will review the proposals and reply by Sunday, June 7th before 11:59pm. The only expectation is that signage and invitations include the phrase: "Sponsored by Monroe Community College's Art is Education program." If you wish to view the space, the SLURL is below. You can send that $1000 over right away, Larry! I've been a recipient of NMC's largesse -and- I'm very familiar with the range and breadth of NMC's accomplishments. Of course had I not once written a machinima script on the subject I wouldn't have known as much, but even before that I had a rough idea of what NMC's business was all about. I'm very much aware that land in Second Life costs -someone- money, and I'm always profoundly grateful when a benefactor gives me the space to play, build, create and display. ...Desdemona and I made a special point to thank Alexandar Vargas for loaning the space in which we developed the piece, as well as NMC, Tayzia Abattoir -and- some guy named Larry Pixel. These credits were included in both the web page and at the end of the accompanying video piece. All that being said, perhaps you're right in that a little more love could be expressed. That point is well taken. Maybe I'll add a Pick! That $1000 should come in handy! Perhaps NMC needs to conduct an audit of their Arts Sponsorship procedures in light of their pressing need to monitor ROI? Ok, so while it was an interesting post, the following comments have been more interesting for me as my first post at the top of this comment thread was intended to be more of a tongue in cheek statement than anything. See, a few months ago I decided to dedicate a portion of the sim I own most of to allowing NPIRL artists a place to do transient builds. Why? Well, I've got the land and it's idle right now so why not help provide a place for people to express themselves and hone their building skills. Why NPIRL artists only? Well, that may be a temporary decision but for now it is a decision based on my desire to minimize my risk of the unknown. I hope in the long run this is a win for every one in the long run though. Beyond that, back to the article, I don't really see there being a threat of benefactors dropping their support in the future. In fact, for me, seeing IBM's recent dedication of space for art was more of a validation of what I perceived as the direction things are going. Over the last few months I've also started to see an evolution of the quality of art coming out of SL and short of another platform supplanting SL for this activity I believe there is a bright future ahead for virtual art. This will in turn bring in new supporters. If current benefactors leave, there will be others to step in, in other ways. Also, the English speaking world of SL is only a fraction of what's going on in SL. Look at sites like flickr and koinup and you can see the diversity in the other communities. Can anyone say with a full assurance that what you may be seeing in the English speaking realm of SL is relevant to other areas? Let's hear from the Brazilian, German and Japanese communities at the least before ringing that alarm. One last thought. I've been in Second Life for over three years now. I've presented at conferences about it, engaged with other corporations about it through my own involvement via my current employer and believe it or not, it was only through this post that I learned about the nature of the artist support NMC has been providing. Maybe we need is to worry less about ungrateful artists and fleeting patrons and focus more on getting organizations with this much of an investment in supporting Second Life art not only recognized for their efforts in the mainstream Real World press (not just real world blogs like this) but also encourage them to be more vocal about what and why they are doing their work through their own communications. This is the kind of thing that will not only help to improve the legitimacy of Second Life in the eyes of a larger world of potential users but can in fact bring in new sponsors, new artists, new viewers! I think it was a mistake to focus on past examples when if i understand correctly your motivation is to move forward. I do ofcourse have no idea what was said or arranged between you and some of the apparently or supposedly "ungreatfull" artists but id echo the point that it is for you to communicate clearly if you have any expectations of them. Never give a gift expecting something in return or its not a gift. Also the project at Poetik Velvets SIM is a fully symbiotic one between me and the land owner and i personally put far more than my creativity into it. But then id say Nur Moo is a true Patron of the arts as she is not expecting any kind of return and never has done. Now i understand that your project is substantially larger and that from the sounds of it you have done more to support artists within SL and this has to be applauded but what are your motivations for doing so? I hope you can find a way to work in SL and feel you and your organisation are getting the rewards and acknowledgment you/they obviously deserve but i feel you should look at your own approach before looking at those you chose to work with in the past. Sorry im not the most verbose and i lack the ability to write out my thoughts as well as many of the above. I dont mean to sound overly critical either. I wish you the best in all your ventures and i am glad you spoke up. Too bad this column didn't appear about two weeks ago ... I would have cited it in my recent talk at the LIDA 2009 (Libraries in a Digital Age) conference in Croatia, where I spoke on the desperate need for involvement on the part of libraries, archives, and museums in the preservation of digital art and virtual worlds. Until there is a universal recognition of the need to document and preserve these works outside of SL, much of this discussion will remain academic and the works created will remain as ephemeral as before. The inherently closed nature of Second Life works against the documentation and preservation of the works ... sure, we can do machinima of installations and some of us have been attempting, without the help of the LL, to capture what we have done in there. as a poor art student in RL and a busy lil artist in SL, I for one REALLY appreciate NMC and all those who sponsor and host my artwork and support artists in SL. SL has given me opportunities to show my art I would never have gotten in RL. I hope that sponsors and art enthusiasts continue to allow us humble artists a place to exhibit and experiment. I will do whatever I can to help facilitate the future of SL art. Beyond all that -- what's wrong with Artists supporting themselves? If you can't afford your own land, what about making a collective of artists that purchase space as a collective? Or rent land! It's cheap enough and split in a group.. easy. I do art in SL and in RL and I've never depended on the generosity of someone else to follow my passions. If you want to be a patron, be a patron and if you expect something from the artists in return you need to state that upfront. Many thanks to Larry and Bettina for bringing this multilayered subject to the fore. To save space at this location I have posted my response here. Being that many artists in SL might be new to the idea of support for their work , this is a great conversation to have. I'd like to address a few ideas - the "art crisis", clarity of relationship, the difference between types of support, and RL/SL status. I disagree that there is any art crisis, but agree strongly that people are hungry for more, and woudl support artists if they woudl just ask. Consider this, a landowner could give support in space and prims; the artist gets a place to build and show, and the landowner gets content. Ody's looking for work, I know that Columbia has a deal for visiting artists, and that's just two sims. In regards to the discussion of recognition of the supporter; that's a matter of two things - clarity and courtesy. It almost sounds as if Larry's frustrated with not being promoted enough by the artists he supports. First, as they say in the South - "It doesn't cost a dime to be gracious." True. put a tagline in your press release. throw a pick on. On the other hand, I feel frustration comes as a gap between expectations and outcomes. In this case it's probably 50/50 - The artist did not ask about the expectations from the supporter, and the supporter was not clear what recognition they wanted. When entering a relationship be clear about expectations. Supporters - Patrons, funders, Sponsors. The point of funders was brought up, which is surprising if you're not familiar with the art world. There are private individuals whi just GIVE money to artists because they believe in them. They also can assist in fundraising for projects. This happens at times woth artists like Christo, as mentioned. Patrons, and again the difference between institutional patrons, indivisual, corrporate, etc. is a good point, tend to be more philanthropic. They tend not to be as interested in credit, but they tend to be a bit more "non-profit/philanthropic" in their giving. They deserve a nod, of course. Sponsors consider the work as part of their company profile, and places like Brooklyn is Watching consider the work a Value Added Resource for the promotion of the Popcha region. Sponsors are entrepreneurial, and recognition is part of their deal. My only problem is that if there is a mixed message of intent through the branding, or if the branding foregrounds itself over the material. Again, be clear about the deal you get. Lastly, the idea of whether SL is "real art". That's sticky, but there are a few points to hit here. The first is that if one considers SL-art "not real art". it is, but is it addressing a context, addressing an audience, and direct in intent? In the case of SL-art as "real art" it needs to recognize that SL is not in a vacuum, nor is SL a 3d Website. Artists need to be aware of the conversation happening in the community of artists they wish to address, and do their research. Then, they need to have something to offer that places their work in both an SL and RL context. Remember this is only one virtual world of a number that people are doing recognized work in (although SL is one of the biggest). Secondly - what confers quality in a museum/gallery in SL? Many factors. If you run a museum, you eventually have to have someone who has some experience with professional RL curation, whether they are an independent curator or not. This is the problem with the Web 2.0 and Cult of the Amateur argument. Even if you are self-taught, you have to be able to walk into a room of professional curators and be knowledgeable enough about the profession to be respected. For me - the argument that SL is an entity unto itself, has standards that do not apply to RL, etc. Well, yes - if you don't want to be considered in an RL context. But then aren't we talking about SL being "Real" art? And about Bettina's idea that you have to be an SL-er to get SL-art. I don't agree. People get Second Front, people get Gaz, people get AOM, people get the Twangs... It's merely how you can bridge conversations and address the tradition and audience. The best art is always legible. So, be sure what you're getting into, be sure you're getting what you want, put yourself up against the best RL art, and understand the multiverse. That's the challenge.